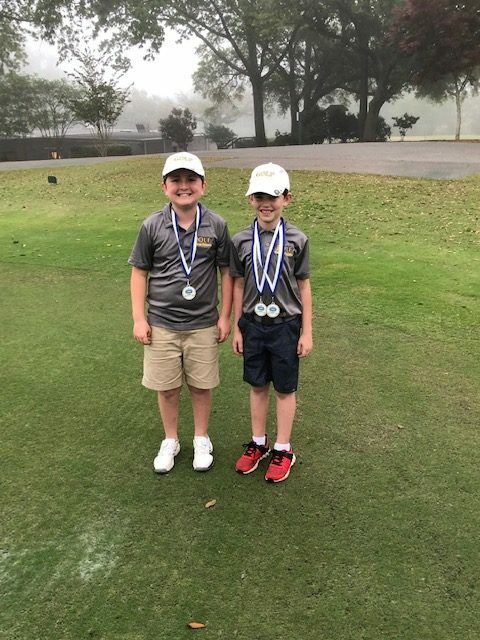 The OLF Elementary golf team traveled to Diamondhead recently to play at the Diamondhead Pine Course. The twosome of Will Nolte and Jude Krohn took team low medalist honors by shooting even par on their 6 hole round. Sami Soljan, Anna Gollott, Peyton Olier, and Jude Krohn won medals in the Drive, Chip, and Putt Skills Challenge held before the match. The team has scheduled more matches in the weeks ahead. 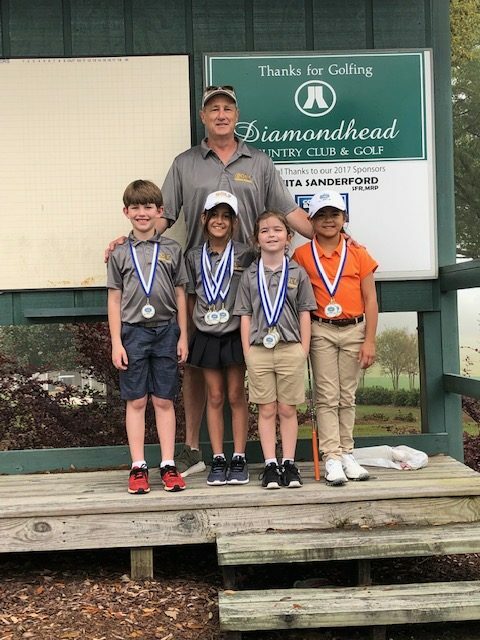 LR Jude Krohn, Sami Soljan, Peyton Olier, Anna Gollott and Coach Hewes display medals won for the Drive, Chip, and Putt Skills Challenge in Diamondhead.